The Powerline adapters, also known as home plug adapters, allow you to send Internet data across your home’s main circuit. 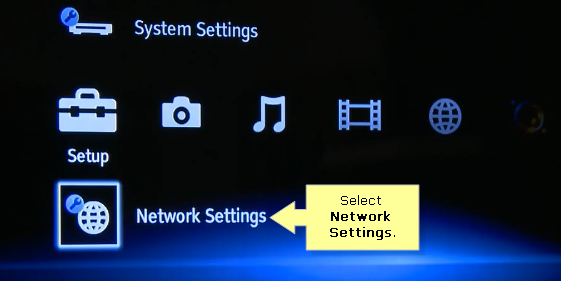 If your Sony® Blu-ray Disc™ player is located far away from your Linksys router, it is best to use Powerline adapters in connecting your Blu-ray Disc™ player to your Linksys router. To know more about Powerline adapters and networking kits, click here. To learn more about Powerline networking support basics, click here. Follow the steps below to know how to connect your Sony® Blu-ray Disc™ player to your Linksys router using Powerline adapters. NOTE: Make sure that your Sony® Blu-ray Disc™ player and TV are powered ON before proceeding. Plug the first Powerline adapter to a power outlet near your Sony® Blu-ray Disc™ player and connect with your Ethernet cable. Plug the second Powerline adapter to a power outlet near your Linksys router and connect with another Ethernet cable. 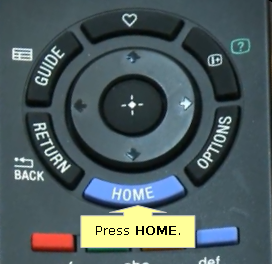 Go to your Blu-ray Disc™ player and press HOME button on the remote. Select the Setup option and then select Network Settings. Choose Internet Settings and then select Wired Setup. To check if the connection is working, return to the Settings menu and then select Network Settings. NOTE: If the connection is not working, check if your Ethernet cables are properly connected with your Sony® Blu-ray Disc™ player and your Linksys router.